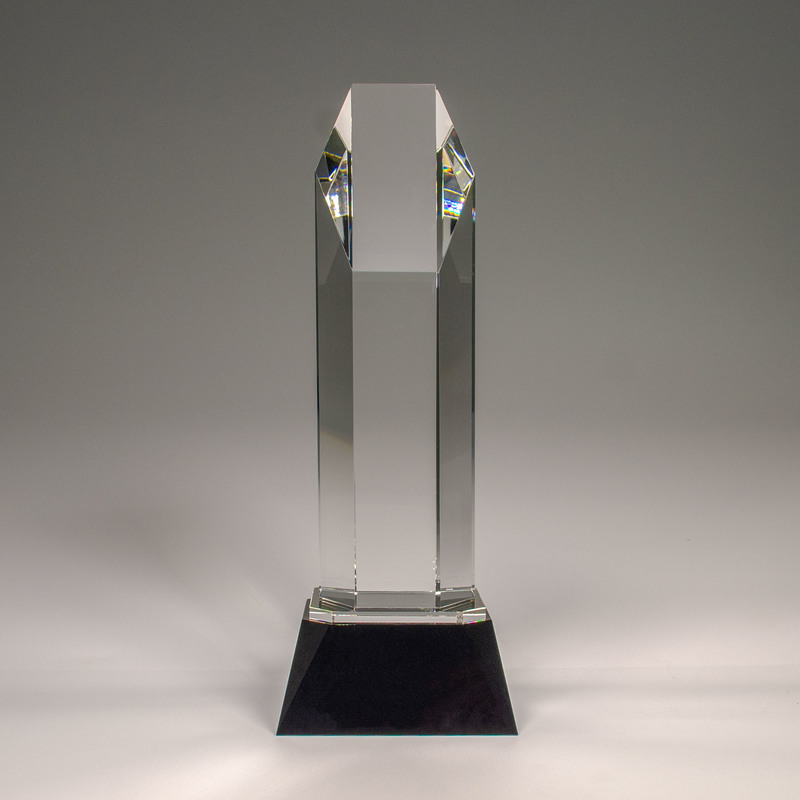 Even though we offer thousands of different awards you can custom order through our catalog, we also stock some of our most popular awards for "Quick Ship". Well, sometimes we goof a little and we order just a few too many. So our goof is your gain! Visit this page often because when these are gone, they are gone. Please Note: Inventory Special items are marked down as low as we can possibly go and further discounts can not be applied. 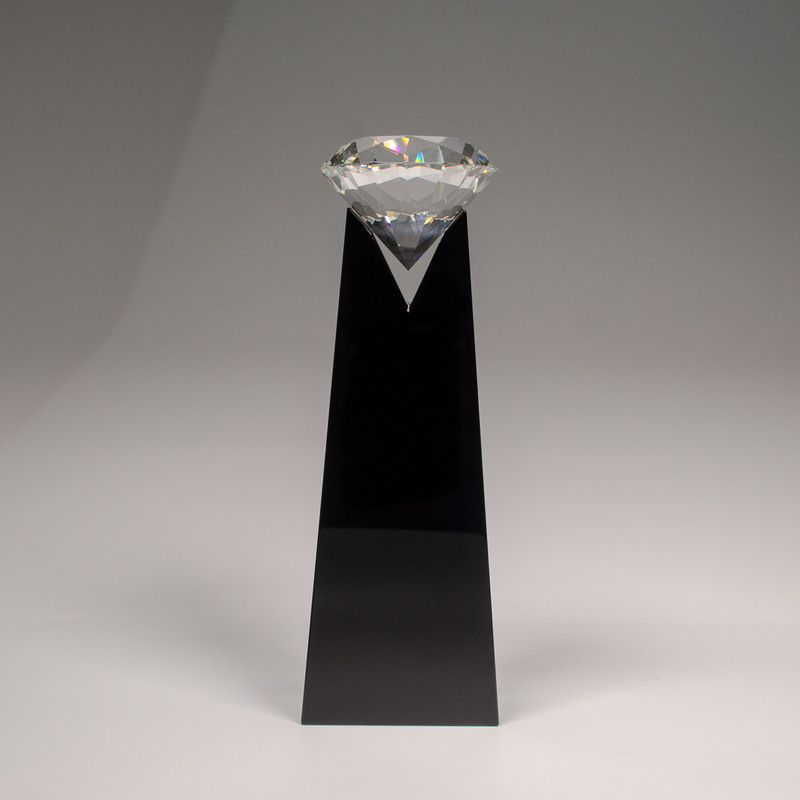 This rising diamond award with its shiny multifaceted crystal diamond on top of a glossy black crystal base is extremely impressive. Take note of the item size & item code for the order form. *Additional discounts can not be applied to Inventory Special Items. 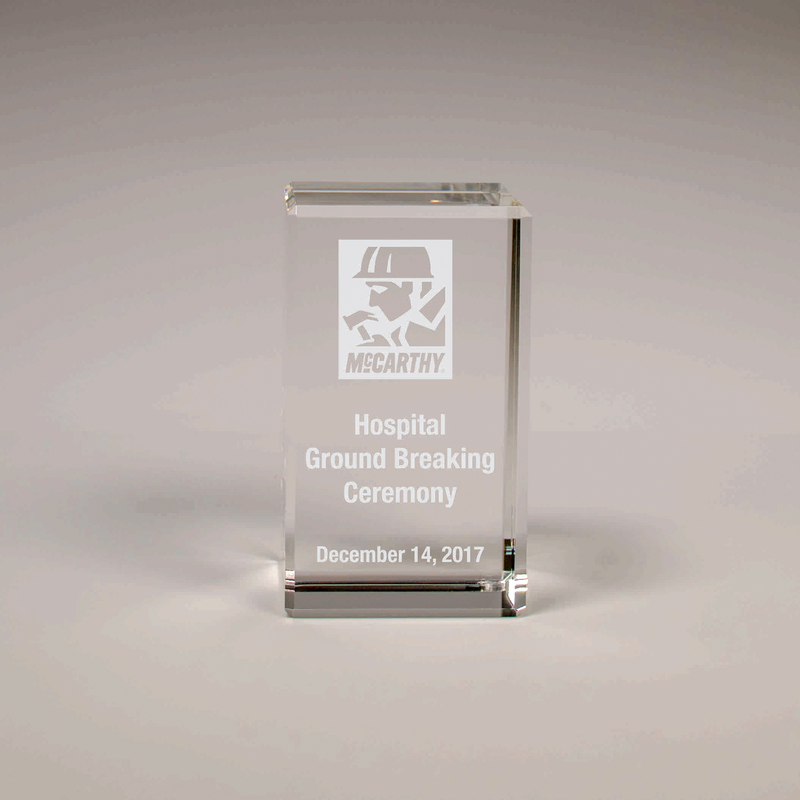 This 4" X 2 ¼" rectangular block is fully laserable and can be engraved on any of the four sides with company logos and text. 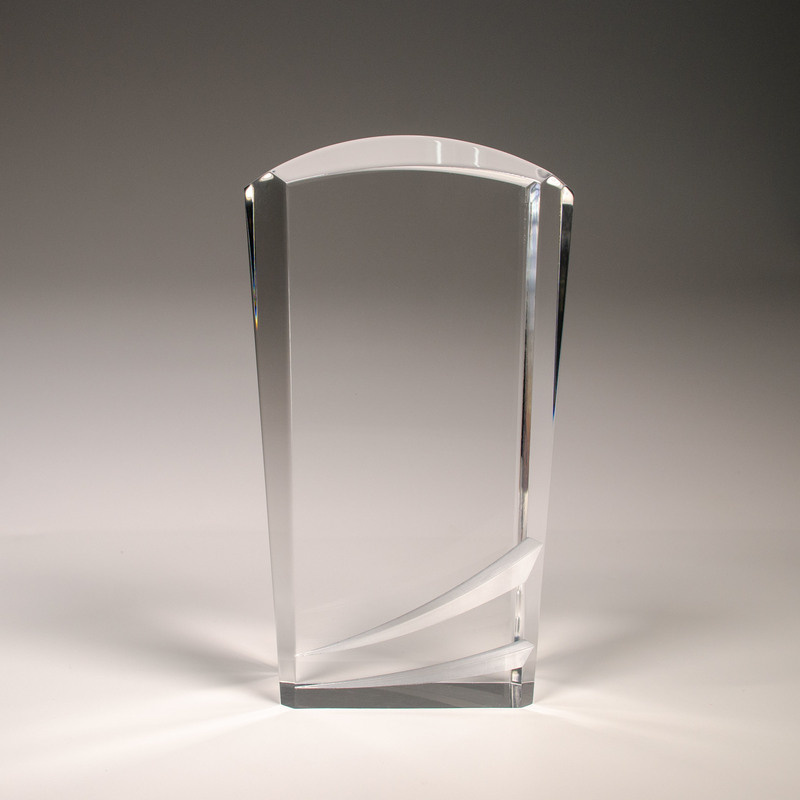 This 10" sleek rectangular prism has a slanted front-face that is perfect for engraving employee names and recognition. It is individually packaged in a black velvet lined gift box with a latch. 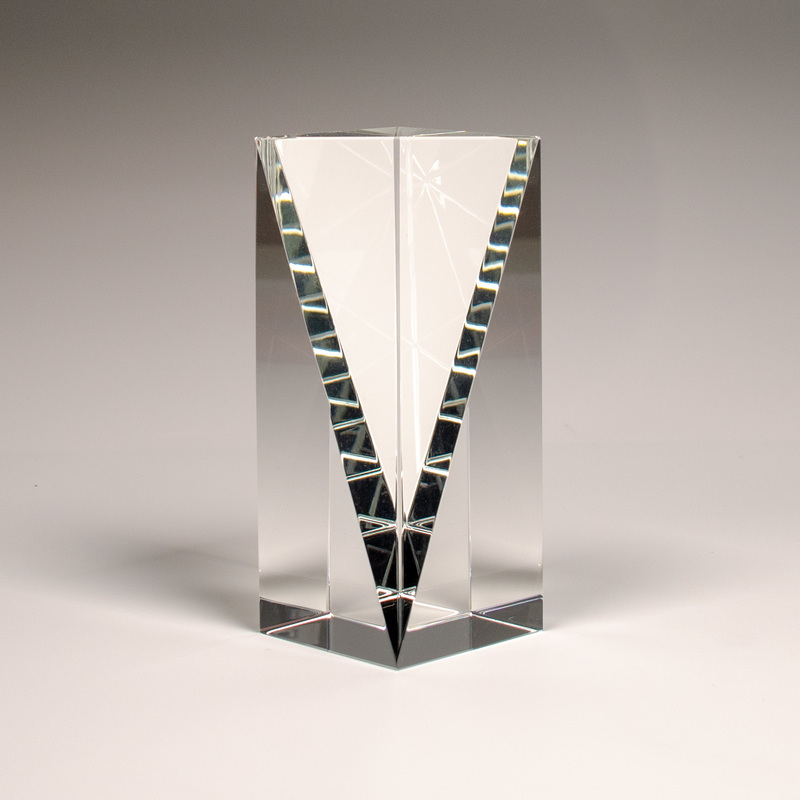 This 5" sleek rectangular prism has a slanted front-face that is perfect for engraving logos, employee names and recognition. It is individually packaged in a satin lined gift box. It is individually packaged in a velvet lined gift box. 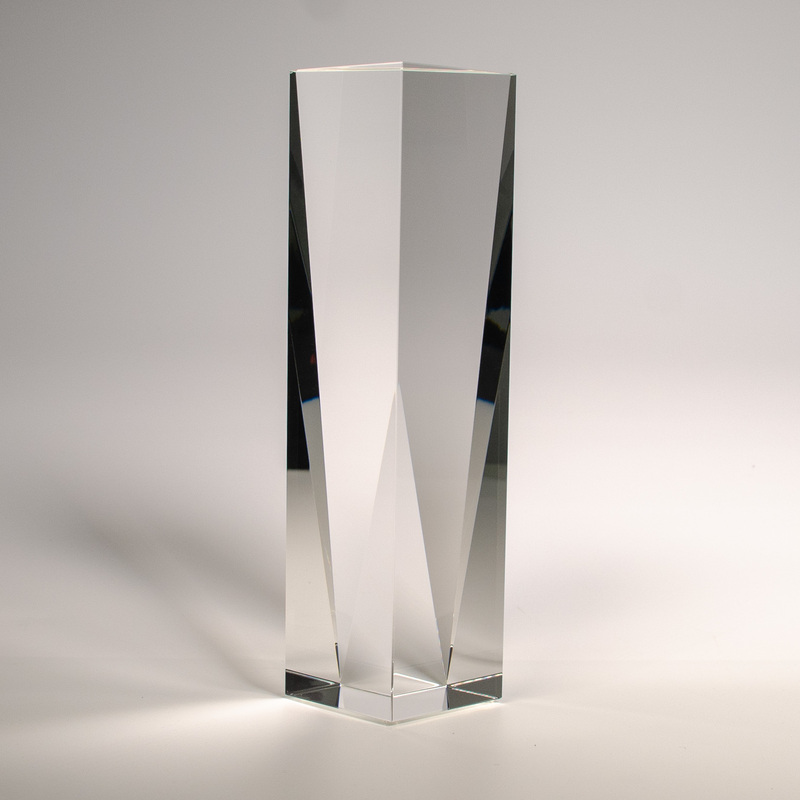 This award weighs almost 10 pounds and has a slanted front face for engraving. It rests on a square black crystal base. 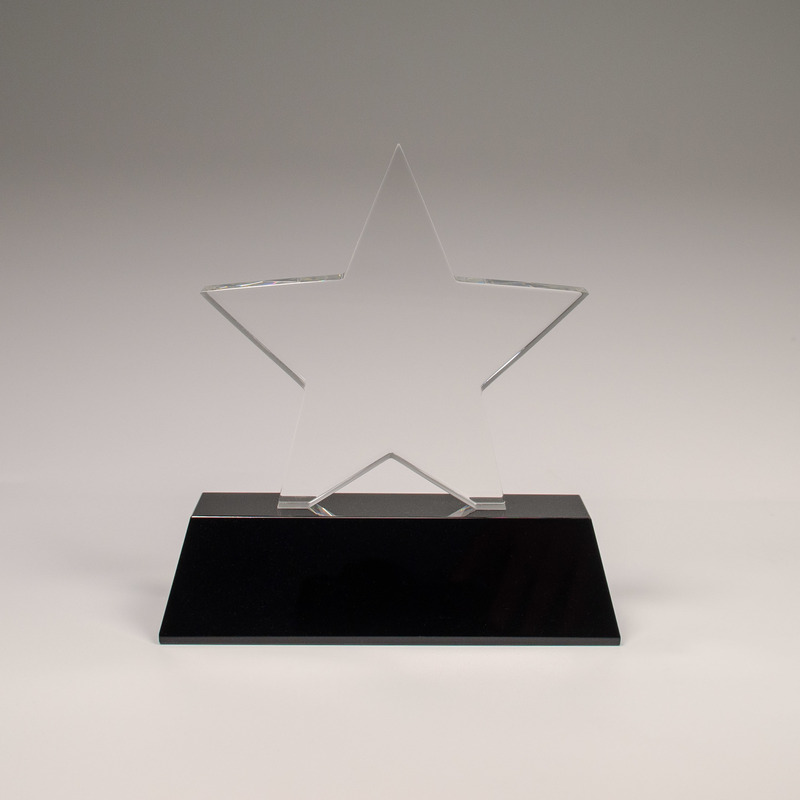 Recognize your star employees with this piece that can be engraved directly on the star and personalized on the black pedestal base. 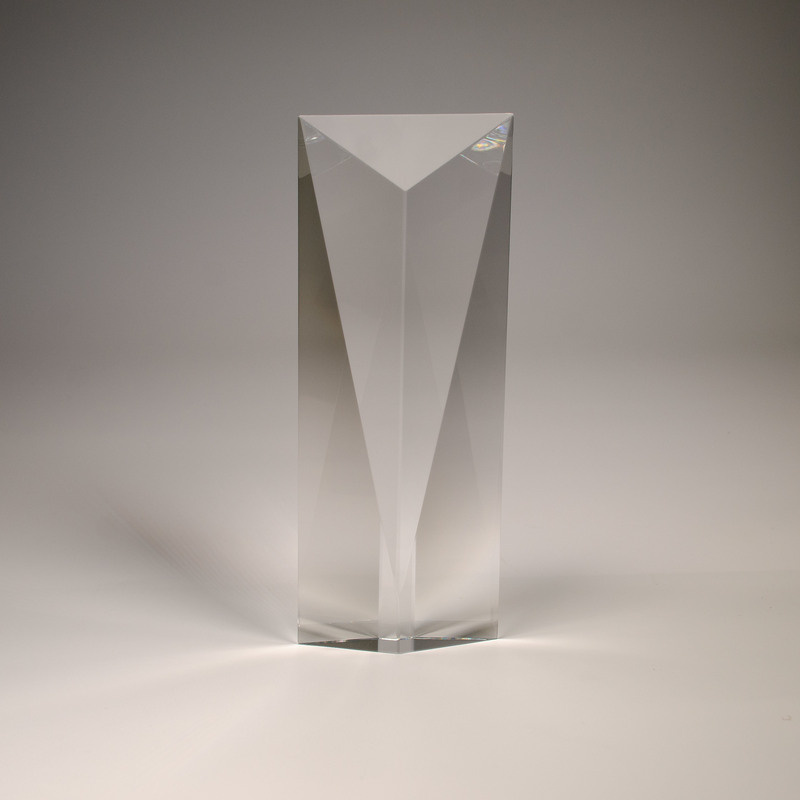 This diamond shaped award has deep bevels and large cut facets that grab and reflect light throughout. Mounted on a black crystal base, this sparkling diamond can be personalized for the ultimate in recognition of excellence. Individually packaged in a velvet lined gift box. 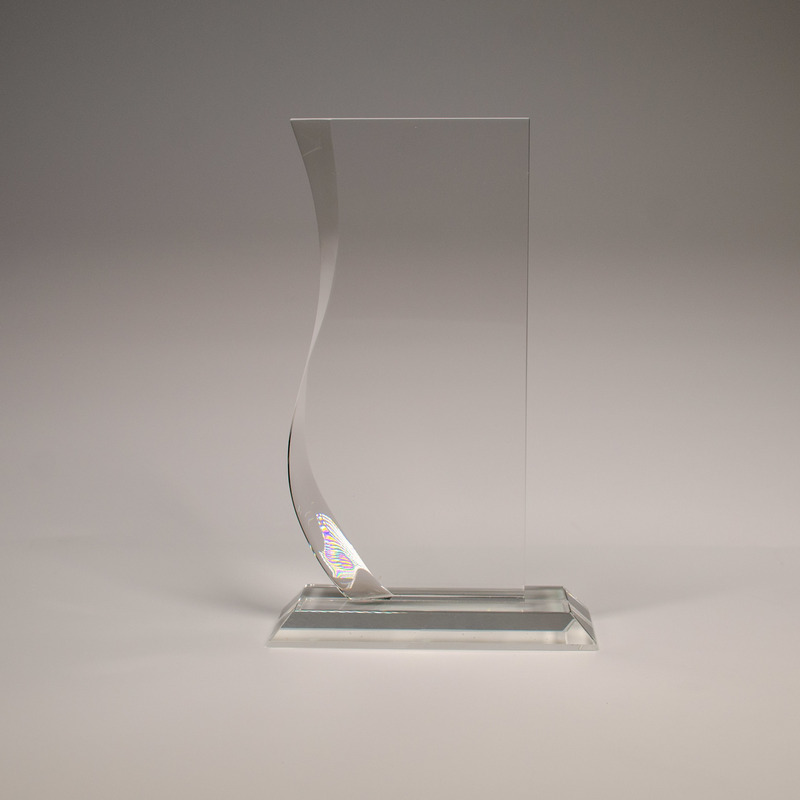 This 2” thick star fire acrylic trophy is the perfect award for any employee. The bevels around the top create depth and dimension, while framing the engravable area. Our vertical crystal iceberg can be personalized for any occasion. 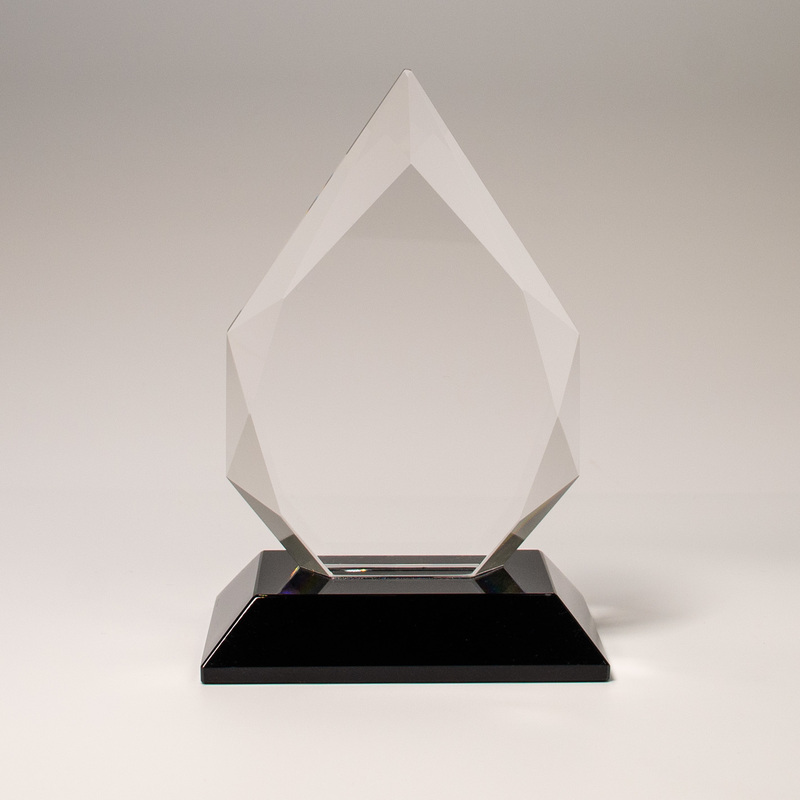 The engraving reflects beautifully through this unique award. 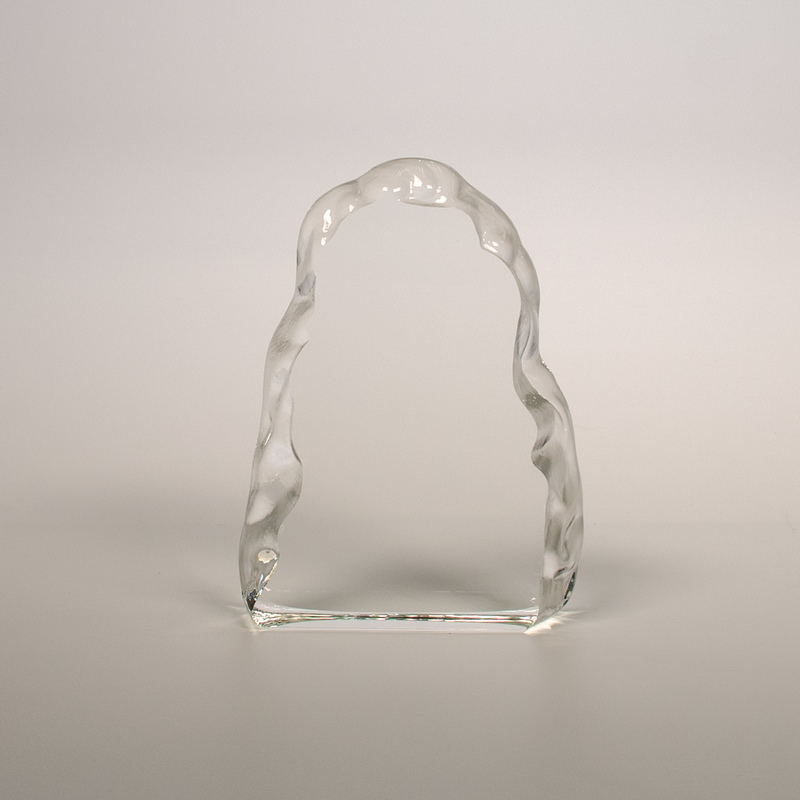 It is a great desk accessory and comes packaged in a satin lined gift box. Accepted file types: jpg, gif, png, pdf, eps, psd, ai. One of our representatives will be in touch with you shortly to collect payment and finalize your order.